EXCLUSIVE – ‘EVIL MAN IN KRABI’ FATHER OFFERS TO EXPLAIN ON THAI TV. BA abandons its ‘Discover the Indian Ocean’ ad. DREW NOYES – FAKE FLORIDA LAWYER? ‘Strike Back’ tough guy Sullivan Stapleton has been injured in a late night incident in Thailand after falling out of a three wheeled taxi – known locally as a ‘tuk tuk’. The Australian born actor ,who plays joint lead in the Sky TV series ‘Strike Back’ with Philip Winchester is reported to have fallen out of the tuk tuk after a night out in Bangkok. The incident was reported to have threatened to completely stop filming after Stapleton was admitted to hospital with head injuries after falling from the open sided vehicle. The production crew have been sworn to secrecy in a production already reportedly to have suffered some teething verbal clashes between the Thai and British crews, according to one of those on set. Charles Salmon Head of Thai Occidental Productions, which is providing local production facilities confirmed there was an incident but said: “This did not happen on set, so it is a private matter. I am sure Sullivan wants his privacy to be respected. for release later this year. THIS SHOWBIZ STORY REPLACES AN ARTICLE ON A BBC PRODUCTION WHICH I WAS ASKED TO WITHDRAW BY THE PRODUCTION COMPANY AS AUNTIE HAD NOT YET GIVEN GREEN LIGHT FOR ANY PUBLICITY. I will write about it when it becomes news. This goes to demonstrate how completely out of touch I am with the modern world……who are these people again? No you're not out of touch Ally. Its clearly me. I have seen a lot of this series in Thailand on cable but I received this from one of the London newsdesks yesterday: "I don't think he's a big enough name for us- Andrew'. In future as shall use you as a barometer as who's who in the UK. My previous barometer was that if you are important you are invited onto the 'Top Gear' race track. I wouldn't be using me D….I think this "barometer" is warn out, antiquated and probably broken. I still crave for the days of Blue Peter, Magpie and Crackerjack. It's actually a very good series in my opinion. Definitely worth a watch. 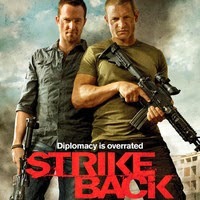 The show Strike Back is great, like Kiefer Sutherland's show, "24", but on steroids and shot in exotic locations around the world. It is as action-packed as anything I've seen on TV, and even many movies. 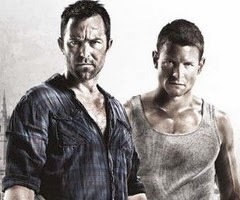 Part of the show's appeal is the chemistry between Sullivan Stapleton and Philip Winchester. Here's to a full recovery for Stapleton and eventual completion of the show's 4th and final season. Regarding the previous story. What kind of company would pass on free publicity? Especially on a site that's almost at 400k views a month?!?! The article did not contain anything unflattering, in fact quite the opposite. Does the marketing department need some supplemental training? My magic 8-ball tells me, "Most likely".